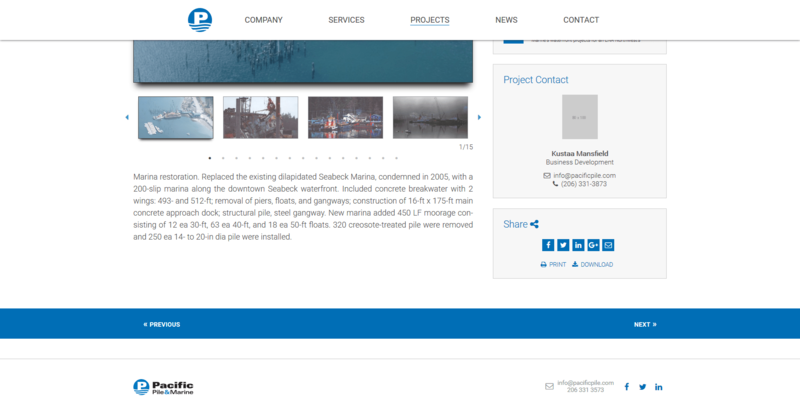 Pacific Pile & Marine was one of the largest projects that Excidium Tech, LLC had completed. For this Corporate-Style Website, the client requested a 100% custom theme. Design mock-ups were provided to us and we converted the mock-ups into a fully functional website. The client had an existing website and we had to re-design their website without starting from scratch. 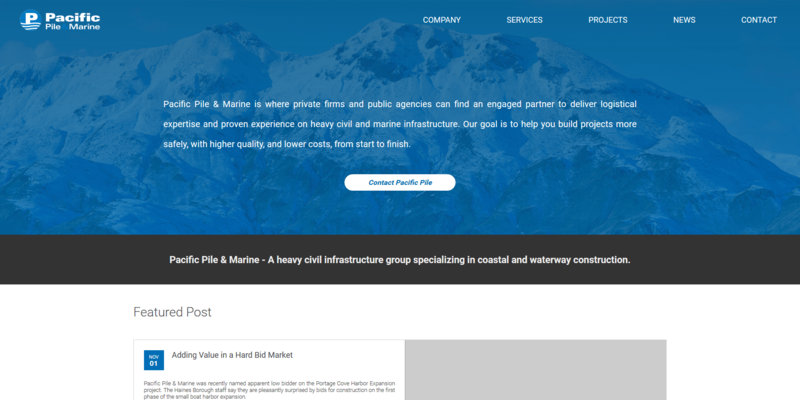 Pacific Pile & Marines’ website went through a drastic change to present information more effectively to their visitors. We had a lot of creative freedom with regards to design. 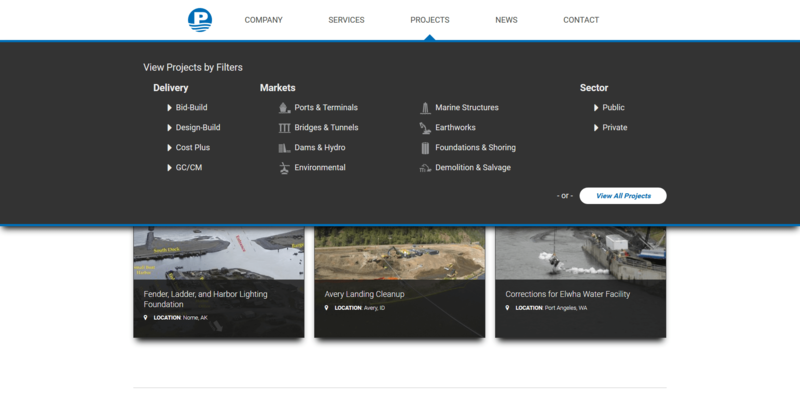 As we converted their design mock-ups, we implemented a number of design improvements to provide Pacific Pile & Marine with a website that would rival their competitors. 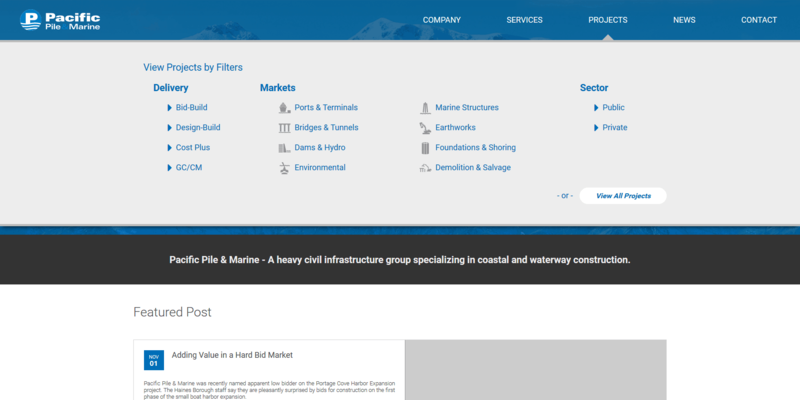 As Pacific Pile & Marine had a lot of content, we needed to create an intuitive menu to allow visitors to get to the most relevant content. We realized visitors weren’t using the search functionality and focused on providing links to deliver filtered content. We had a lot of fun with this project and were always on the look out to improve the user experience. One of the key elements was adding an alternative style to the Mega Menu when the header became fixed. The way we rendered the Projects is probably our favorite feature. As you hover over a project, more information appears as the overlay expands to cover the image. We also made sure the animation effect was smooth. 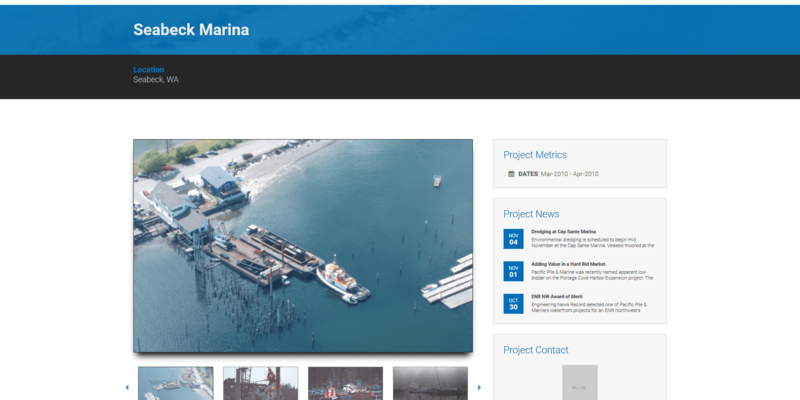 Pacific Pile & Marine displayed a great deal of information on their projects page. 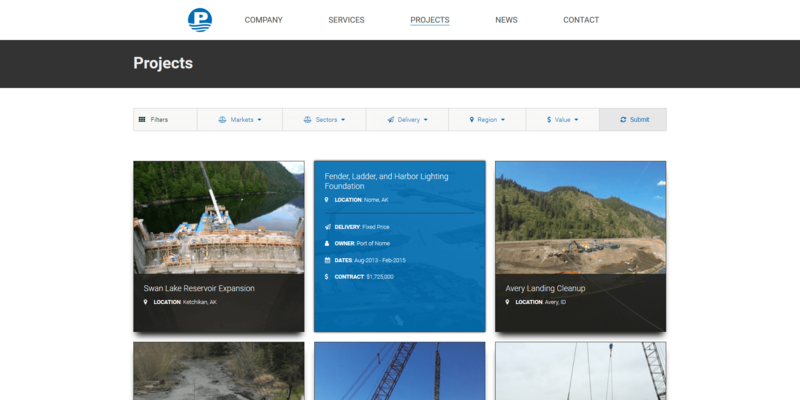 Images, project metrics, point of contact, related news articles, and a detailed description of the project. We took extra care to ensure content was easily digestible by website visitors. We don’t normally get too involved in the design process, since we are specialized in development. However, we feel the design improvements we were able to provide to this project was vital to the success of this project. We primarily focused on improvements to the user experience. 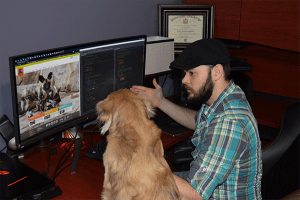 When it comes to website design, there are many ways to approach a website. Most often, the design approach is based on the design preferences of the designer working on the website. It is vital to ensure your website designer’s preferences match your own preferences. If you want a website that has layers and dimensions, but your designer prefers a flat design, then you may begin butting heads with your designer. We do our best to keep our own personal preferences out of how we approach design and development of our clients websites. Just because we like darker designs, as proven by our own website, does not mean we will push our clients into adopting a darker design as well. Generally speaking, design and development are two separate specializations. Most of the time, a designer will be hired to fixate on designing the user interface and to ensure the user experience is optimal. A developer will then build out the functionality to convert those designs into a fully functioning system. Sometimes designers can get a little too creative and we focus on concrete evidence with regards to what design trends are actually effective for an efficient user experience. Contact us today to see where form meets function!